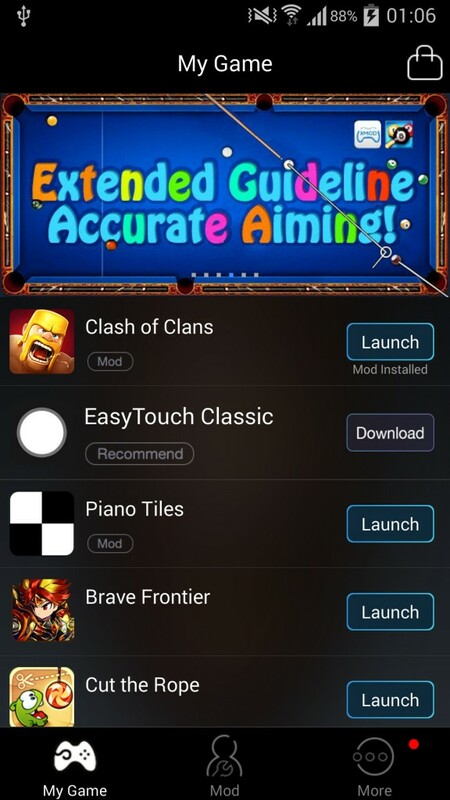 I’ve been playing Clash of Clans for a long time but I didn’t know about this tool, which is called Xmodgames, and I know that many guys haven’t heard about it too. It’s an awesome tool with Auto Search, Keep Active, Sandbox Attack and more! When a friend showed me this tool and its features, I just think “Wow! What an amazing tool! 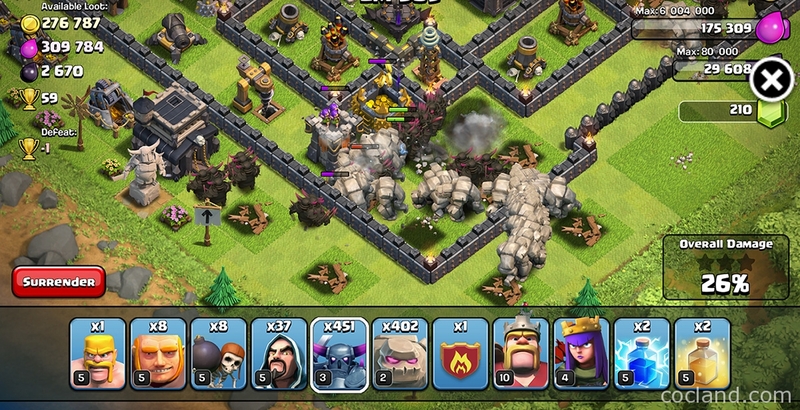 Help me a lot while playing Clash of Clans! I want to share it will all other Clashers!”. And now I am here and writing about it for all you guys :D.
I am using Android so I do this tutorial on Android. But this application is also available for iOS. You can do the same on your iDevice! You need to root your Android phone/jailbreak your iOS device if you want to use this tool! Now you can run Xmodgames on Android 5.0 (Lollipop). Xmodgames doesn’t support Bluestacks, Genymotion and all other virtual machines. But new version for these Android simulation software will be out soon! You will not be banned because of using this tool. As you see, the application will show up the list of games which can be modded. 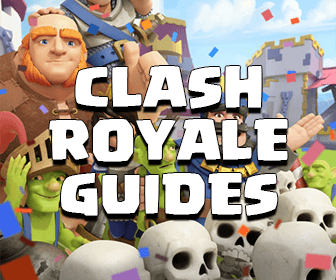 Let’s tap on the Clash of Clans menu to the next step. (Do not tap on the Launch button or the game will be launched). 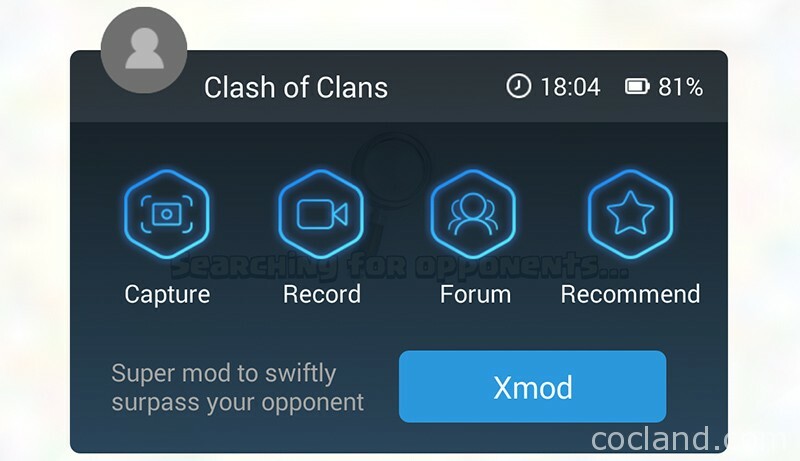 Then tap on the Install Mod button to install Xmodgames for Clash of Clans. It will take a while, from 5-10 seconds. Now you can click Launch to start the game! You can see a small robot on your screen (at previous version, it is a X button). Help you search satisfied opponents: This tool can help you search your opponents automatically, you won’t need to click Next anymore! 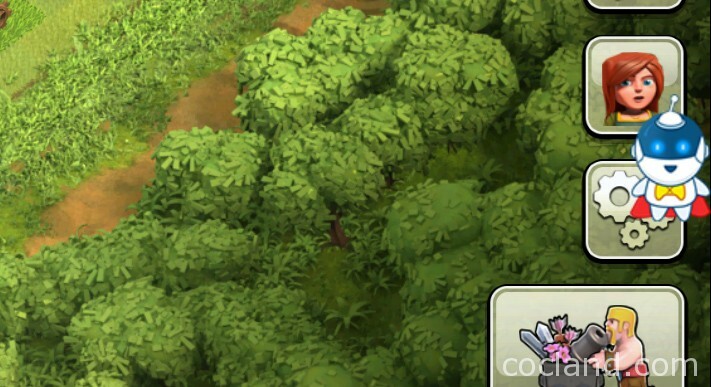 There are 5 options for the searching: Gold, Elixir, Dark Elixir, Trophy and Maximum Town Hall. 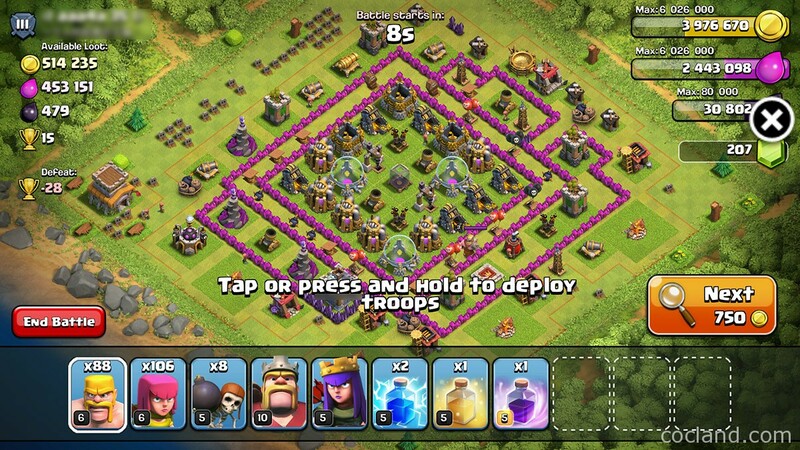 You can set the number of loot, trophy or Town Hall to be whatever you want! The program will stop If it find an opponent that satisfy all the conditions. Turn ON the Meet All The Conditions option if you want your opponents have all these conditions. Turn ON Search Switch to start the auto searching option. If it doesn’t work, just click Next manually a couples of time then It will work! 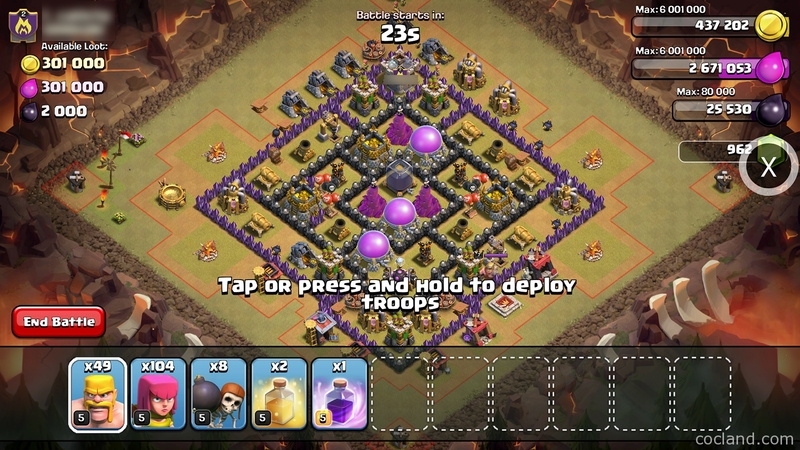 You can also find villages with outside TH for sniping Town Hall and boosting your trophies by using the Max Town Hall Distance from Edge feature. When you open this feature, where will be a scrollbar show up. The number on the scrollbar means the distance (tile) from the TH to the corner. I think you should choose a number from 1-4. Help your village be always online (Keep Active): This feature can help your village remain online and cannot be disturbed by other players. Allow you to sandbox attack other players for practicing (Sandbox Attack): This feature is super awesome! Help you simulate an attack whenever you visit or scout a village. 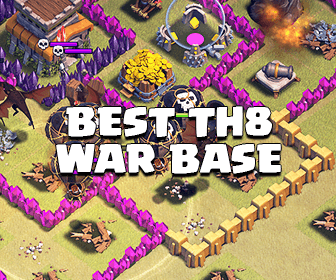 Perfect for testing before doing an attack in Clan war! Do not waste even a star! Take screenshot and record your game screen. And here, you now can see all hidden traps in real matches, perfect new features? If the X button doesn’t show up (now it is a small blue robot), try to remove the app, clean your phone with cleaner application, restart your phone then reinstall Xmodgames again. This is the only way to fix almost problems. Make sure that you are running the latest version of game and mod. Please make sure to update the game to the latest version and then uninstall the mod and reinstall it in Mod Tab? Of course, make sure that you are using the latest mod version and supported game version. Refresh the Mod list by going to the Mod tab in Xmodgames, scroll down and then loosen it. Exit Xmodgames, re-open it, go to the More tab ~> Manager Mods ~> Select Mod ~> Remove. Can’t run Xmodgames on iOS? Refresh your Cydia Repo App by go to “Source” page and tap on the Refresh button which is located at the top-left then close it. Open Cydia again, go to Xmodgames ~> All Packages ~> TaiG 8.1.3-8.x Untether ~> Modify ~> Update/Reinstall. You have done. Xmodgames should work properly now. Can’t run Xmodgames on Samsung devices with Android 5.x? Note: This method is just for Samsung devices! A guide on how to install a package that will change the kernel of your device Samsung device running Android 5.0. This amendment will allow Xmodgames working. Please notice that this method may not work with all Samsung devices! Download Odin on your Windows PC at here. Download this file from your phone. (If you are using Samsung S4, download this file). Turn off your phone, go to Recovery Mode (Hold Volume Up + Power + Home). Install the zip file you have downloaded at step 5. Xmodgames should works perfectly now! Note: You can see your device enforcing or not by open Settings ~> About device ~> read the SE for Android status line. Download and run Busy Box. Go to Settings ~> Applications Manager ~> Xmodgames ~> Clear Data. Download then install Lucky Patcher at here. Run it and convert Xmodgames to your system (Move to system/app option). Reboot your device, launch Xmod then install Coc mod. Don’t open game at this time. Go to Settings ~> Application Manager ~> Xmodgames ~> Clear Data (we do this 2 times). It should work perfectly now. If you know any other amazing things can do with Xmodgames, please do a comment :D.